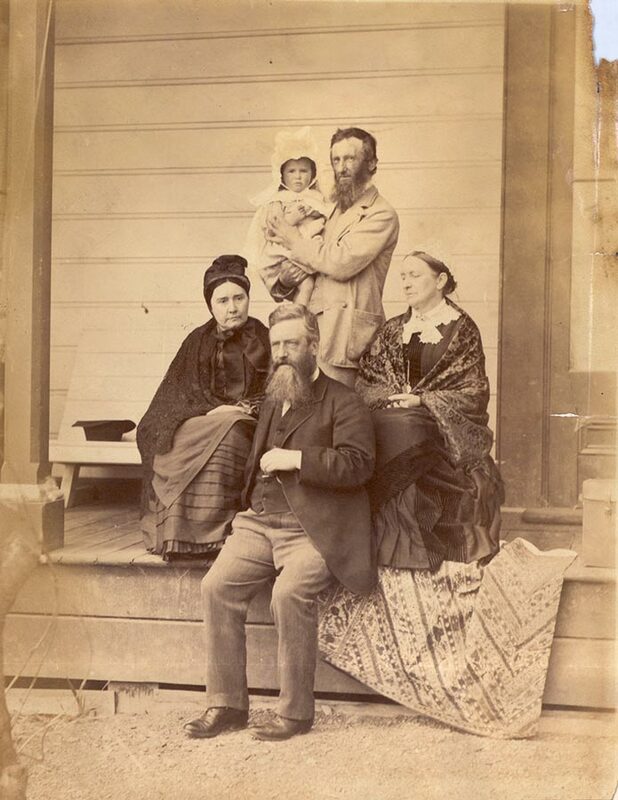 In a photograph taken in the mid 1880s, Harry Albert Atkinson is seated with his wife Annie (left) and his sister-in-law Jane Maria Atkinson (right). Behind stands his brother, Arthur Samuel Atkinson. The baby, Phyllis Fell, is the granddaughter of Jane Maria and Arthur.